It’s hard not to smile listening to Shane Stoneman’s third album, 12 Tone Sky. It’s effusive, bubbling over with optimism, even on the fourth track, the tongue-in-cheek “Sad Songs”: “Oh, they don’t make songs sad enough anymore,” Stoneman sings on a song that’s got way too much awesome pedal steel by Flying Burrito Brother Tony Paoletta to be sad. 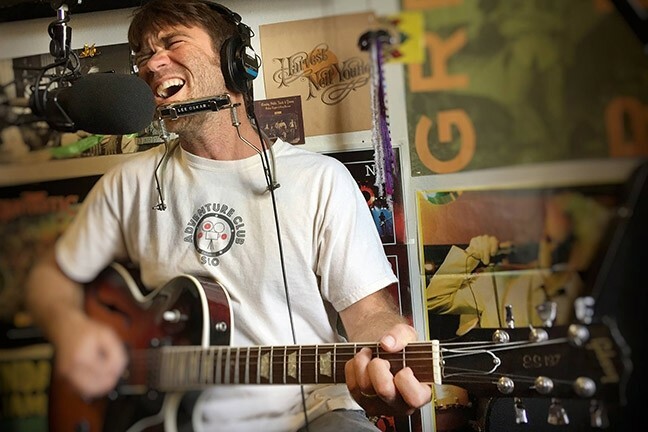 WATERMAN: Local surf hero Shane Stoneman (pictured) plays an album release party on March 10 at Sweet Springs Saloon, with backing band Wasabi. This go-around, in addition to Paoletta, Stoneman’s teamed with Wasabi, the Santa Cruz-based funk rock trio that’s clearly capable of playing any genre they please. Featuring guitarist Ron Work, bassist Dan Robbins, and drummer Alex Work, the trio will back Stoneman this Friday, March 10 (9 p.m.; 21-and-older; free), when he plays an album release party at Sweet Springs Saloon. Wasabi, which also has a new album—Wide Open—will also play its own set. The title track features Stoneman experimenting with Austrian composer Arnold Schoenberg’s 12-tone serialism. 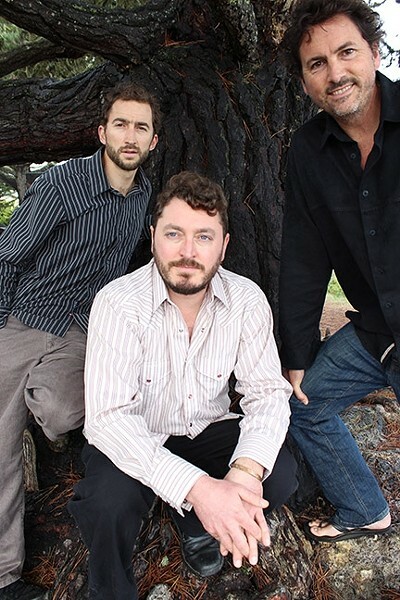 FUNKY: Santa Cruz-based funk rock trio Wasabi (pictured) makes its Central Coast debut when it backs Shane Stoneman on his album release party on March 10, at Sweet Springs Saloon, as well as playing a set of their own music. 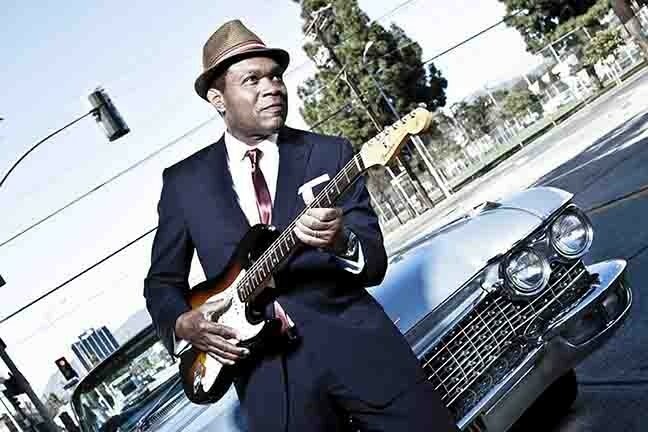 Numbskull Productions and Good Medicine Presents will bring blues legend Robert Cray to the Fremont Theater this Friday, March 10 (7 p.m.; all ages; $28 to $40 at ticketfly.com). The five-time Grammy Award-winner is well known for his soulful voice and precise guitar chops, and over his 40-year career, he’s recorded 20 studio albums, 15 of which have landed on the Billboard charts. He was also inducted in the Blues Hall of Fame a few years ago. LEGEND: Blues master Robert Cray plays the Fremont Theater on March 10, delivering his blistering blues guitar and soulful vocals. He formed the Robert Cray band in the late ’70s. “In the early days of the band, we were getting back into O.V. Wright and paying attention to my favorite blues players: Buddy Guy, Otis Rush, Albert King, and especially Albert Collins,” Cray said. WHEE! : The effusive T-Sisters (pictured) play a free family-friendly Live on the Rocks show at The Cliffs with The Show Ponies on March 12. Cray appeared in National Lampoon’s Animal House (1978) in an uncredited role as the bassist in the house party band Otis Day and the Knights, and he was invited by Keith Richards to join the backing band for Chuck Berry in the 1987 film, Chuck Berry: Hail! Hail! Rock ’N’ Roll, directed by Taylor Hackford. What can I say? The man’s a legend! Numbskull and Good Medicine will also host another Live On The Rocks show at The Cliffs with The T Sisters and The Show Ponies (1 p.m.; all ages; free), on Sunday, March 12. The T Sisters are a great contemporary folk act with amazing vocal harmonies, delivered in folk, Americana, gospel, R&B, bluegrass, and soul songs. The Show Ponies like to call their style “folk sassgrass.” This promises to be a great family-friendly show. Also, mark your calendar for country artist Sam Riggs, who plays Thursday, March 16, at BarrelHouse Brewing (6 p.m.; all ages; $16 presale or $20 at the door) with Joe Koenig and the Homewreckers opening. 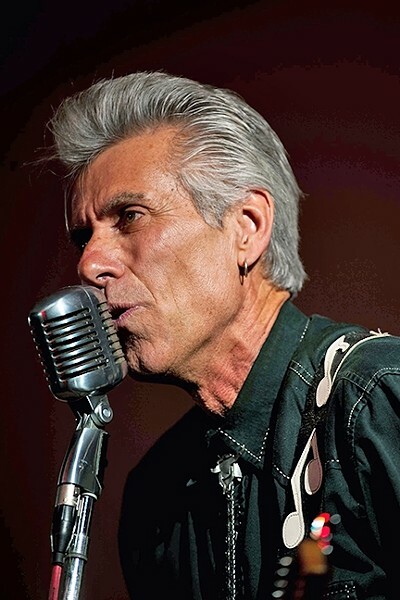 OLD-SCHOOL ROCK: The Cadillac Angels, featuring frontman Tony Balbinot, plays the Frog and Peach on March 11. On the Cadillac Angels’ newest CD, Cadillac Motel, frontman Tony Balbinot channels some Chris Isaak on the opening track, “You’re a Fire.” It’s a smoldering song featuring Balbinot’s crooning vocals and walking guitar riff. The very next song, “Come to Me,” finds the trio bringing some tom-drum-driven jungle rhythms to the mix in a mesmerizing Svengali-esque song of seduction. This is the Cadillac Angels at their dreamiest. Balbinot writes great songs and plays old-school roots rock ’n’ roll that sounds like unearthed ’50s proto-rock, and you can see it live when he and his band play Frog and Peach on Saturday, March 11 (10 p.m.; 21-and-older; free). 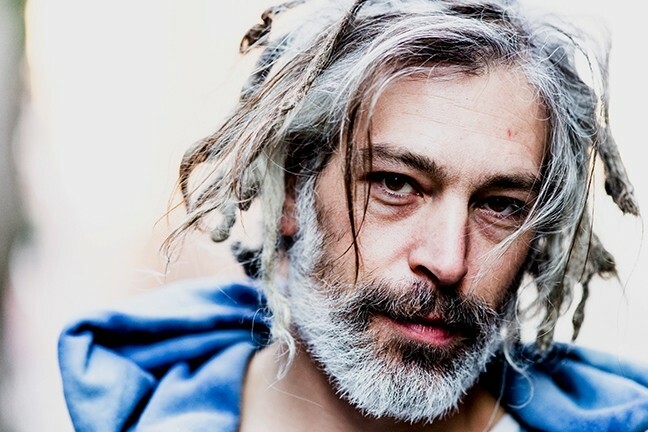 SPIRITUAL : Reggae artist Matisyahu plays the Fremont Theater on March 12, bringing his socially conscious message and songs from his new EP, 'Release the Bound,' to town. Touring in support of his new EP Release the Bound, Jewish American reggae vocalist, beatboxer, and alt-rocker Matisyahu returns to the area this Sunday, March 12, at the Fremont Theater (8 p.m.; all ages; $27 at ticketfly.com). Born Matthew Paul Miller, Matisyahu is his Hebrew stage name meaning “gift of God,” and he used to sport the traditional Hasidic Jewish haircut with long hair at the temples. That was back when Matisyahu first started to pack clubs, before his album Live at Stubbs went gold and before his single “King Without a Crown” reached No. 1 on the alt-rock charts. “His performances were a raw expression of his spirituality at that time and were supported by musicians who played a foundation of roots reggae augmented by the energy of a rock trio,” his bio explains. Eleven years, nine records, and one Grammy nomination later, Matisyahu has evolved into an artist with a rabid fan base and a continually evolving socially conscious message. Shimmering rock act Sunset Voodoo returns to the Frog and Peach this Thursday, March 9 (10 p.m.; 21-and-older; free). Check out their newest single, “Got Me Bad,” on their Soundcloud page. END OF THE ROAD? : Father-and-son Irish duo Young Ireland has scheduled two final fundraising concerts before the junior O’Hara heads to college. See them March 12, at the SLO Little Theatre; and March 18, at the Pewter Plough Playhouse. The amazing African Guitar Summit returns to the Spanos Theatre this Friday, March 10 (8 p.m.; all ages; student and adult tickets are $31.20 and $39 respectively; available at 756-4849 or online at calpolyarts.org). Originally from Guinea, Ghana, and Madagascar, the members now reside in Canada, where they’re Juno Award winners. The great Austin singer-songwriter Michael Fracasso returns to town with local collaborators Bob & Wendy for the show at the Steynberg Gallery this Saturday, March 11 (7:30 p.m.; all ages; $20 tickets; call 547-0278 for reservations). This incredible genre-crossing artist has “recorded duets with both Patty Griffin and Lucinda Williams, an epic reinterpretation of John Lennon’s ‘Working Class Hero,’ and memorable tributes to Woody Guthrie, Mickey Newbury, and Townes Van Zandt,” according to press materials. Jazz Vespers returns to the First Presbyterian Church of San Luis Obispo with the amazing Marshall Otwell Trio performing Sunday, March 12 (4 p.m.; all ages; donations appreciated). Joining Marshall, who’s played with some of the jazz world’s biggest names, are local favorites Darrell Voss on vibraphone and percussion and Dylan Johnson on bass. Laura Vidaurri provides the vocals. A reception follows. The Famous Jazz Artist Series returns to Painted Sky this Sunday, March 12, with guitarist Ron Eschete (6:30 p.m.; all ages; $20 suggested donation). Eschete has recorded and performed with the likes of Ella Fitzgerald, Sarah Vaughan, Dizzy Gillespie, Milt Jackson, and many, many more. Bassist Luther Hughes, and drummer Darrell Voss, and series co-producers Charlie & Sandi Shoemake will join in. Portland-based folk and Americana singer-songwriter Caroline Cotter plays Linnaea’s Café this Sunday, March 12 (7 p.m.; all ages; pass-the-hat). Since her 2015 release Dreaming as I Do, which reached No. 5 on the Folk DJ Charts, she’s played more than 400 shows from Maine to California. 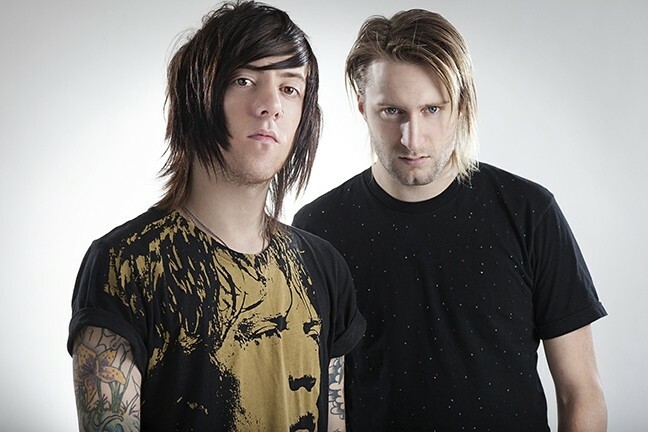 PULSATE: Electronic act Breathe Carolina brings their emo-pop to SLO Brew on March 15. 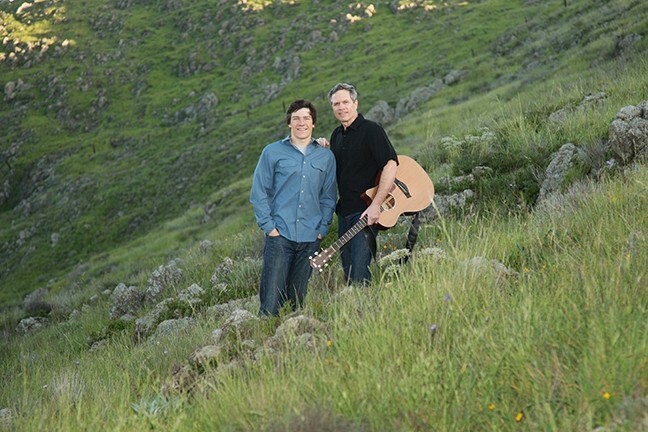 Father-and-son duo Young Ireland has had a great run, having formed in 2010, but now Michael O’Hara is off to college, so “we have scheduled what may be the duo’s last performances together,” said dad Patrick O’Hara. See the Irish folk act perform two benefit concerts for The Hearst Cancer Resource Center and the Assistance League of San Luis Obispo County, on Sunday, March 12, in the SLO Little Theatre (7:30 p.m.; all ages; $35; visit hcrcbenefit.bpt.me for tickets) and on Saturday, March 18 (7 p.m.; all ages; $20; visit albenefit.bpt.me for tickets), at the Pewter Plough Playhouse. SLO Brew hosts Kay Myers & The Buzzards for Pint Night this Tuesday, March 14 (10 p.m.; 21-and-older; free) March 14. The rootsy LA-based trio delivers some great Southern rock sounds. On Wednesday, March 15 (7:30 p.m.; all ages; student and adult tickets are $38.40 and $48 respectively; available at 756-4849 or online at calpolyarts.org), see Masters of Hawaiian Music, featuring three award-winning Hawaiian music masters from George Kahumoku’s renowned Slack Key Show. They’ll perform material with origins that can be traced to early 19th-century Hawaiian paniolo (cowboy) culture. Raw surf rockers Hayley and the Crushers bring their kickass female-fronted original rock sounds to the Frog and Peach on Wednesday, March 15 (10 p.m.; 21-and-older; free). You’re guaranteed to leave sweaty and happy! On Wednesday, March 15, SLO Brew will bring Breathe Carolina back to town (10:30 p.m.; 18 and older; $15 at ticketweb.com). The Colorado-based indie rock, emo-pop act is a very cool electronic act and delivers pulsing dance floor anthems.